WOLF CATCHER by NASIO FONTAINE is one of NASIO's best CDs released earlier in his career. The Skatalites Greatest hits were made with friends at (Vincent Chin)Randy's Records.This compilation is the first time that many of these classic SKA tunes have been reissued.Tommy Mc Cook,Jackie Mitto, Alton Ellis & Don Drummond were among the big names involved. SOLID GOLD!! ONE LEFT - THE REAL SKA MUSIC!! BOB MARLEY AND THE WAILERS(The best of) - THE LEGEND The best selling reggae album of all time. REGGAE GOLD 2007 TREASURE OF THE CARIBBEAN by VARIOUS ARTISTS include the current 2007 Reggae superstars in dancehall and lover's rock reggae.The 2 Disc CD & DVD include Sean Paul,Shaggy,Morgan Heritage,Elephant man,I-Wayne,Buju Banton, Movado and Jah Cure..Check it out. More treasure for Vincie Mas,Lucian Mas and Caribana 2007!! Cry Me A River by Jackie Opel is a classic album of soul music originating from the Caribbean. Jackie was one of the most popular entertainers in Jamaica and the Caribbean during his time. Born in Barbados, Jackie rose to prominence after performing in Jamaica and recording his renditions of soul music within the SKA beat,during the SKA era. "Cry Me A River", remained the number one song on the charts in the Caribbean for a long time. 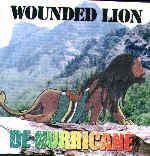 BOB MARLEY AND THE WAILERS - NATURAL MYSTIC with hits like "natural mystic","easy shanking","crazy baldhead","roots,rock,reggae",trenchtown rock","hit me with music"
STRICTLY THE BEST REGGAE VOLUME 34 with Beres Hammond & Marcia Griffith leading a cast of Various Artistes that include Jah Cure,Morgan Heritage,Turbulence, I Wayne,Mr. Vegas, Freddie McGregor, Ritchie Spice and others.